Even after his announcement that he won't seek reelection next year, Gov. Peter Shumlin's approval ratings continue to drag. A recent survey conducted by the Castleton Polling Institute found that just 40 percent of Vermonters believe the third-term Democrat is doing a good job leading the state. Forty-three percent think he's not. The share of Vermonters who disapprove of Shumlin's job performance is slightly lower than last March, when a Castleton poll sponsored by VTDigger.org found that 41 percent approved while 47 percent disapproved. But the figures show that Shumlin still hasn't made much headway with voters since nearly losing his reelection bid last November. Notably, the poll found that those most attuned to Vermont politics disapprove of Shumlin's job performance the most. Only 32 percent of those who say they follow state news "very closely" think he's doing a good job, while nearly twice as many of those, or 57 percent, do not. In contrast, a plurality of those who say they don't follow the news closely — or at all — think he's doing just fine. Shumlin's spokesman, Scott Coriell, said the governor "is focused on the progress he can continue to make for Vermont, not polling results." He argued that incumbent governors across the country are facing similar approval ratings. "There is no doubt that voters nationwide are frustrated with an economic recovery that has been good for those at the top but too slow for everyone else," Coriell said in a written statement. "As leaders of their states, governors’ approval ratings reflect this reality." That may be true, but the Castleton poll found that President Barack Obama, who has been in office two years longer than Shumlin, remains relatively popular in the state. Forty-seven percent of Vermonters say they approve of his job performance, while 39 percent say they did not. 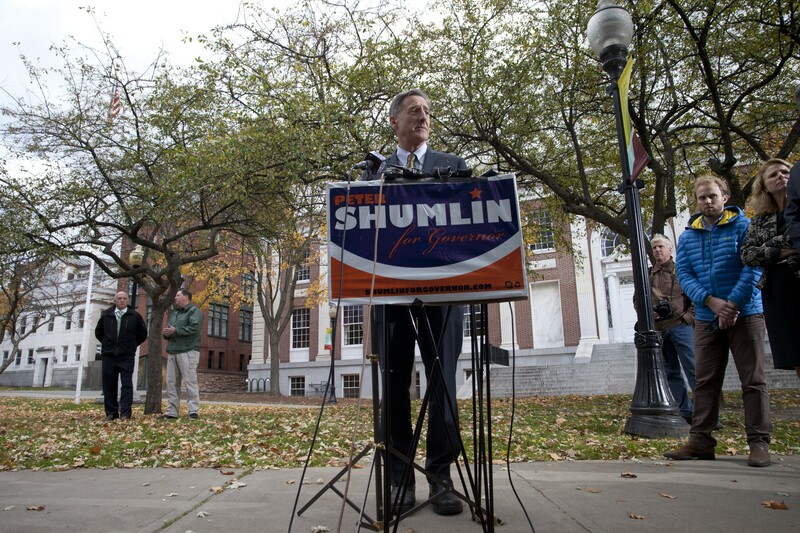 Not surprisingly, independents and Republicans think the least of Shumlin's tenure. But even among Democrats, just 58 percent say they approve of his job performance, while 27 percent disapprove. Castleton also found a sharp partisan divide in how Vermonters think the state is doing. 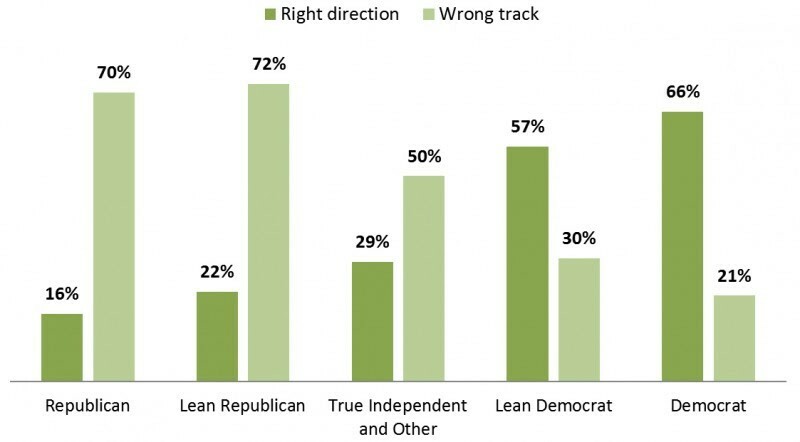 Among Democrats, 66 percent think the state is "heading in the right direction," while 21 percent think it's "on the wrong track." But among Republicans, just 16 percent think Vermont is going the right way, while 70 percent think it's not. Conducted over three weeks in late August and early September, the poll surveyed 617 Vermonters. Its margin of error is plus or minus 4 percent. Castleton previously released its findings on the 2016 gubernatorial race and several policy issues. Find its full results here.